OVER THE NEXT WEEK OR SO SOME OF OUR PATIENTS WILL BE RECEIVING A TELEPHONE CALL FROM A PHARMACIST WHO IS WORKING FOR THE PRACTICE. HE WOULD LIKE TO TALK YOU ABOUT YOUR MEDICATION AND WE WOULD BE GRATEFUL IF YOU COULD TAKE THIS CALL AND ANSWER HIS QUESTIONS. If you have any concerns please contact the surgery in the usual way. Many thanks. Welcome to the Wellbridge practice, Wool Surgery. Wellbridge surgery in Wool aims to provide the highest quality healthcare to patients in the area. 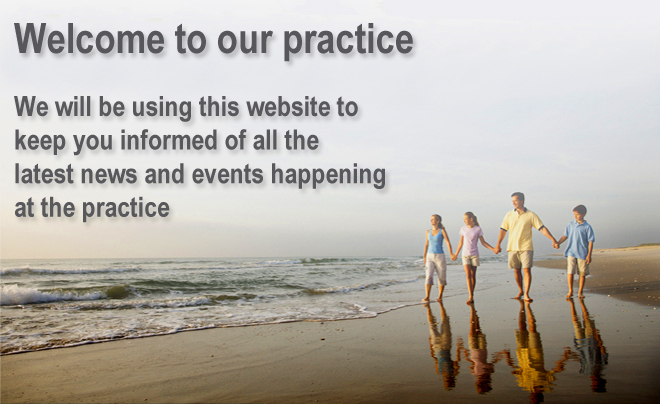 Our doctors, nurses and all our other staff are dedicated to offering a professional service and this surgery website will help us to keep all our patients up to date with news and information about our practice. Treat and if possible cure disease, quickly, effectively, and economically. Relieve suffering and promote well being in the sick, disabled and dying. Promote the physical, mental, spiritual, and social well being of each individual. Encourage everyone to be responsible for maintaining, and if possible improving, his or her own health. To assist this by educating and informing our patients appropriately. Attempt to reduce the overall incidence of disease and handicap, and increase the overall level of health and well being. Increase community awareness of what we can all do to improve health generally, and encourage and facilitate local initiatives, and encourage a health-promoting environment. The Duty of Candour has been introduced as a direct result of the Francis Inquiry Report into the Mid Staffordshire NHS Foundation Trust, which recommended that a statutory “duty of candour” be imposed on all healthcare providers, which defined “Openness”, “Transparency” and “Candour”. Provide support for those involved in the incident (patients & staff) to cope with the physical & emotional impact. Reassure patients, families & carers that lessons learned will prevent patient safety incidents happening in the future.